The image appeared originally as a Lightning Made of Owls comic. This is a Mezzacotta project run by David Morgan-Mar, where anyone can submit comics, so long as they use the website's shortlist of characters (which the community designed). 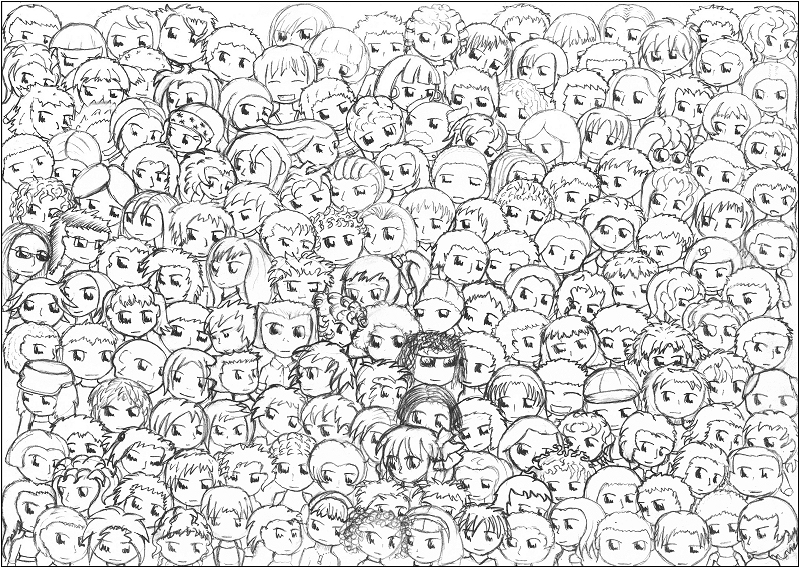 The comic appeared there with a small caption inviting the reader to look for one of the regular characters. Essentially, it's a where's wally parody. The image took about 4 hours to draw, and was done in small 10 minute segments over the course of a month. Individually, no part of the image is technically difficult or impressive, but the effect of investing so much time into one simple idea makes the image look that much more impressive.